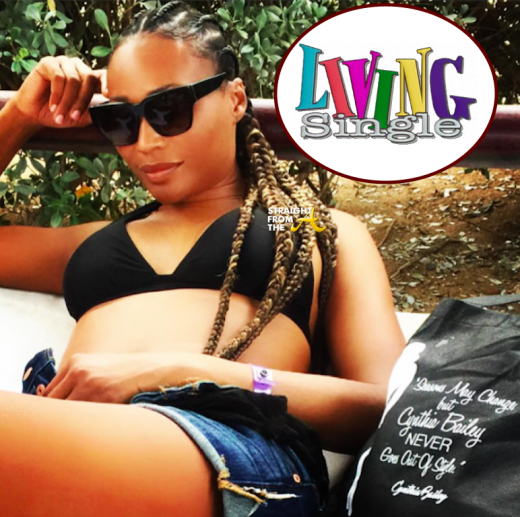 Word on the curb is that Cynthia Bailey of The Real Housewives of Atlanta has happily been living the single life lately after ‘separating’ from her husband Peter Thomas. The couple married in 2010 on the popular reality show, and it seems their relationship has crumbled right before our eyes onscreen with cheating accusation, financial issues and more. The net has been buzzing about their relationship status for months now, and Bailey, who spent this past Memorial weekend partying in Puerto Rico, has now confirmed that she and husband are indeed ‘separated’. NEWSFLASH!! 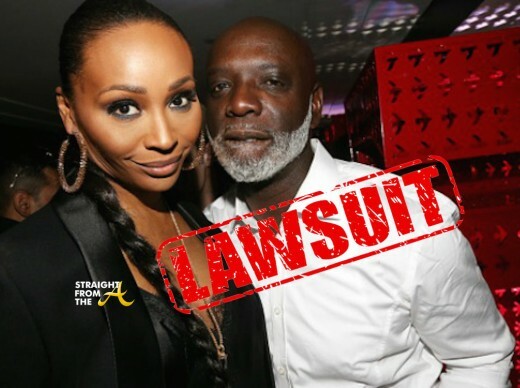 Restauranteur Peter Thomas and his wife, supermodel Cynthia Bailey of The Real Housewives of Atlanta, are reportedly being sued. As you know, the cute couple have reportedly been going through a tough time in their marriage and revealed recently that they are living apart. As previously reported, Thomas continues working on his SportsOne/Bar One projects in Charlotte while Cynthia maintains their residence in Atlanta. But even though they live apart, Cynthia is being named in a lawsuit stemming from an altercation which occurred in her husband’s Charlotte, NC sports bar. 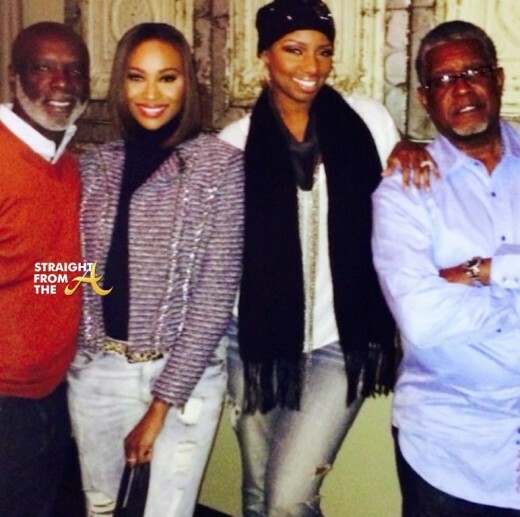 Cynthia Bailey of The Real Housewives of Atlanta and her husband Peter Thomas placed their relationship on display for the entertainment of the masses and now it seems that they are both over all of the drama. If you recall, Peter stated that he doesn’t get a check from Bravo for his appearances throughout the season and that he has to focus on his businesses in Charlotte to ensure his financial security (he’s no spring chicken you know). Whatever the case, the two have been chatting away with the media about how their living apart and all, but I think they could be pulling a new & improved version of ‘Nene & Gregg Leakes‘ reality show ‘break-up’. 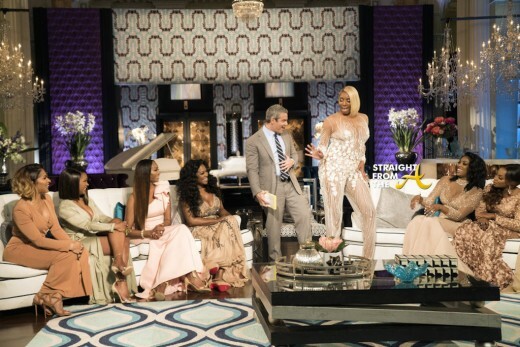 The Real Housewives of Atlanta aired the last of its season 8 reunion show last week (click HERE if you missed that), but Bravo saved quite a bit of unseen footage for a final ‘secrets revealed’ episode. The Georgia peaches continue to throw shade with never-before-seen footage from Season 8 including Porsha and Phaedra’s makeover of Kim, as well as juicy moments from Peter and Cynthia’s video-gate drama. Plus, more heated moments from Kenya and Kim’s epic showdown are unveiled. The Real Housewives of Atlanta aired the 3rd and final part of their season 8 reunion show last night (April 3, 2016). The ladies rehash the drama of Jamaica from the ups and downs surrounding the execution of Cynthia’s commercial to her downplaying her relationship with Kenya to the group. In a special appearance, NeNe Leakes gathers with the women to weigh in on the drama and to address the group’s concerns surrounding Porsha’s anger management issues. Shereè and NeNe reflect on their shaky past and where their friendship stands today. The men join the conversation to give their opinions on the plethora of hot-button issues including unsettling allegations surrounding Kim’s husband, Chris. As expected, Bravo saved Nene Leakes’ appearance for the final installment of the reunion show, but the OG ‘housewife’s’ appearance seemed merely a ploy to stretch out the reunion show for what turned out to be a pretty lackluster season without her. 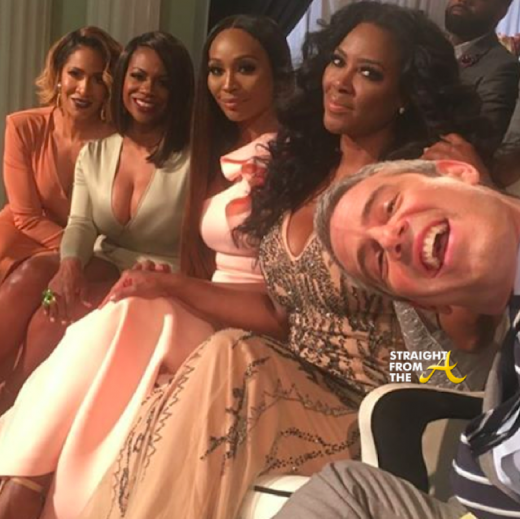 Part Two of The Real Housewives of Atlanta‘s season 8 reunion show aired last night (March 27, 2016). 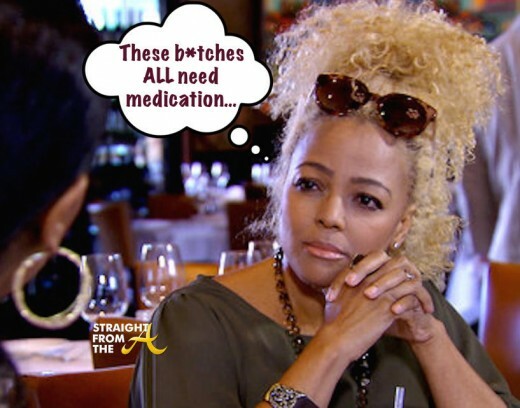 Part 2 of the RHOA reunion continues to analyze the drama between the ‘housewives’ by causing even more arguments. Phaedra reflects on the emotional season she’s undergone with her husband Apollo away at prison and the effect it’s had on her life. Cynthia and Peter disclose the current state of their marriage and address upsetting rumors about their relationship, which leads to a tense verbal encounter between Cynthia and Porsha. The women revisit the drama surrounding the Miami trip and make an attempt to move forward after a tumultuous season.